Sign up for Broadjam today to follow Blackline, and be notified when they upload new stuff or update their news! Blackline is a driven hard-rock band from Boston, with a heavy, yet melodic sound that has won over rock lovers worldwide. 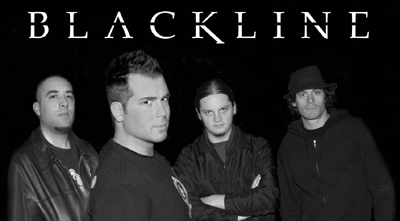 Now in Los Angeles, Blackline released its self-titled debut album on 6/21/06 and has been touring in California all summer. Steven Slate, lead singer of Blackline, held the rank of top vocalist of all time in the Hard Rock category at www.garageband.com. When he's not rocking out onstage with Blackline, he sings, writes, records, mixes, and masters in a range of musical styles at Slate Studios in Los Angeles.